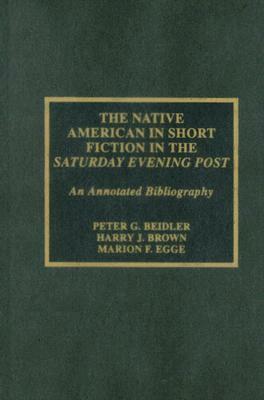 This companion volume to Beidler and Egge's Native Americans in the Saturday Evening Post expands upon the fictional short stories that mention or focus on Native Americans. Covering a period of 71 years (1897-1969), this compilation of summaries of 265 short stories shows how the fictional depiction of Native Americans changed chronologically from the end of the Indian Wars to the "Native American Renaissance" of the 1960's. The majority of these tales highlight Caucasian attitudes toward Indians, which generally ranged from pure racial hatred at worst, to apathy at best, placing race relations in a historical context. This annotated bibliography provides detailed summaries of each of the stories with specific focus on the Native American aspects. Each story provides insights into the prevailing negative stereotypes of the time that the authors either exploited or denied in their stories. Also, since many of the stories share characters, settings, and themes, the authors have provided parenthetical cross-references, in order to easily display their interconnectedness. The book concludes with an author index, a subject index, and an extensive tribe index containing the various spellings used in the stories. Author Name: Beidler, Peter G.